Photo courtesy of Parsa Lotfi. There are so many effing kinds of apples. It’s that time of year again, the time when we college students can relive our childhood and climb trees for a legitimate reason: to score some apples. Even if you’re not all about heights or nature, grocery stores and farmers markets are sure to be carrying a large array of this fall staple. 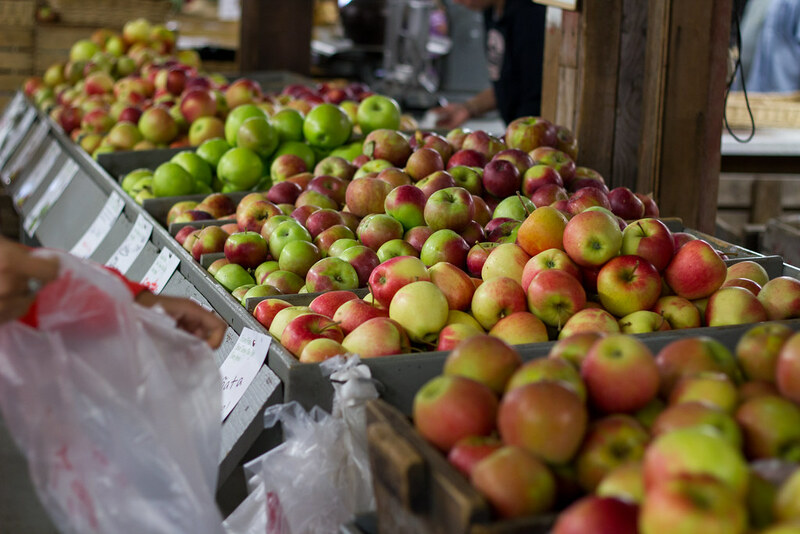 Apple season means apple pie, apple crisp, cider, and all things delicious because, I mean, apples! Lucky for us, there are over 2,500 varieties grown in the United States. However, this can prove to be overwhelming for seasoned and newbie apple pickers alike. Questions may arise, (which kind will make my pie hella good?) which is where this article comes to the rescue. We’re here to help you unlock the true potential of the most common varieties. Cortland: Just a tad tart, but mostly sweet. This apple is extremely versatile, so feel free to eat it, bake it, sauce it or top it with some peanut butter. They’re perfect for garnishes or dishes at a potluck because they don’t brown easily. Available September-April. Fuji: This apple tops all others in sugar content, literally making it the sweetest apple in existence. If you have any bit of a sweet tooth, this is the apple for you. Available October-June. Golden Delicious: Sometimes you’re just not in the mood for a tart apple, that’s when you pick up a Golden Delicious. They’re mild, juicy, and crisp. When making sauce or pies with this variety, let the natural sweetness of the apple do its thing by reducing added sugars. Available September-June. Granny Smith: This apple is your go-to for baking. Whether it be apple pie or apple crisp, you better go Granny Smith. What’s even better? These babies are available year-round. Honeycrisp: This ultra crisp apple is a fusion of sweet and tart. Although they can be used in baking, they’re really best as a snack. Available September-February. Jonagold: Ever tried frying an apple? Well, slice these up, sauté with a touch of butter and top with a little cinnamon. You may never go back to just biting into an apple again. Available October-May. 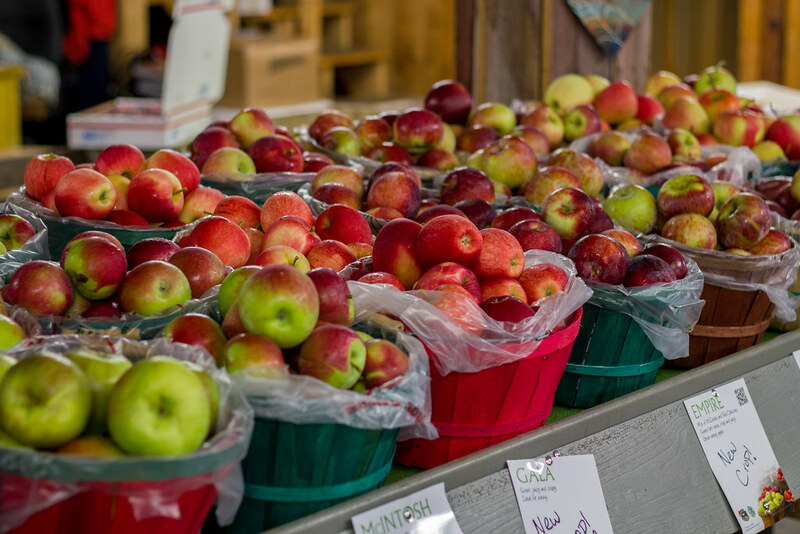 Macoun: Thinking apples and cheese? Yes please! Pair a Macoun with some sharp cheddar and you will be one happy camper. But do it quick, they’re only available October-November. McIntosh: Extra juicy, just a tad tart. They’re a little softer than some other varieties, so if you’re making a pie you may need to add a thickener (such as all-purpose flour or cornstarch). Available September-June. Pink Lady: This apple performs well in both sweet and savory dishes. Add this lady to a peanut butter sandwich or maybe make it into sauce and serve with pork chops. Available year-round.